searches for beauty in the relationship between light and everyday objects. The opening evening offers a rare chance to meet this extraordinary photographer. Her images of major public figures in the Middle East, as well as iconic landscapes and peoples of Palestine were exhibited widely, including at the U.S. Capitol, the White House, and the Cultural Paralympics in Atlanta as well as around the world. Diagnosed with Multiple Sclerosis at the peak of her career, she overcame exceptional odds, designing a camera mount attached to her wheelchair and went back to photographing again. 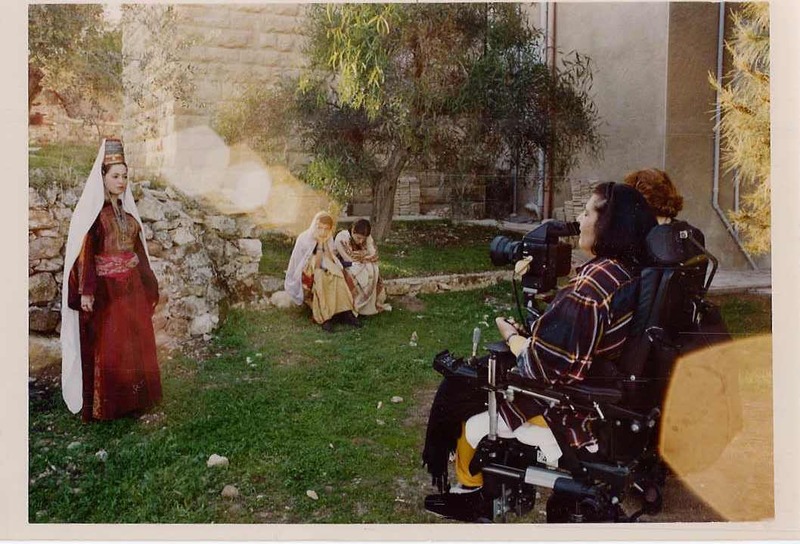 Queen Noor and the late King Hussein of Jordan were among the first Arab leaders to invite Ms. Bandak to photograph in a wheelchair. Now she has established the ATMIA Foundation to help people with disabilities work and thrive. She is most interested in finding sponsors to bring young people from Palestine, such as those wounded in Gaza, to come to the U.S. to study Assistive Technology (presently non-existent in the Arab world). AT enables her to operate her wheelchair without the use of her limbs. The proceeds from sales of her images are for this cause.